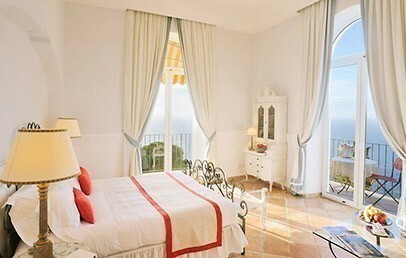 The island of Capri is located in the gulf of Naples, between the Sorrentine peninsula, Capo Miseno and the islands of Procida and Ischia. 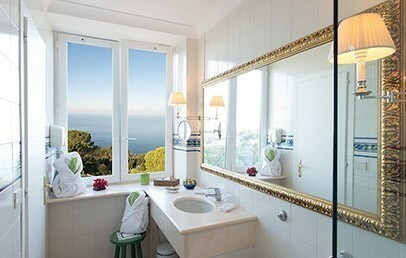 The Hotel Caesar Augustus is on a 1000 feet cliff above the sea in the hearth of Anacapri. 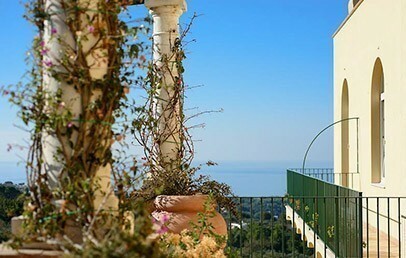 From here clients will enjoy one of the most magnificent views over Capri. 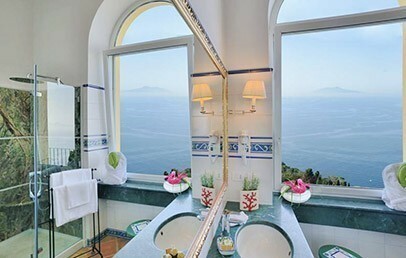 From the hotel it is possible to enjoy amazing views of the gulf of Naples and the Vesuvius, of Sorrento and of the island of Capri as they were described in the pages written by the famous author Axel Munthe. 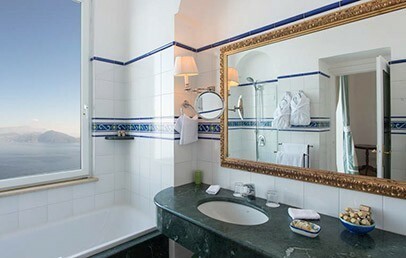 The Hotel Caesar Augustus was named after the first famous visitor on the Capri island, namely the roman emperor Augustus, and used to be a private villa, "Villa Bitter", until the end of the 19th century. It used to belong to a very rich German landlord. 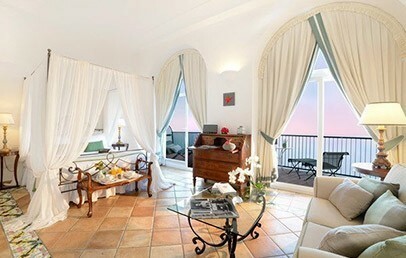 During the first years of the 20th century Villa Bitter was turned into a noble house by a Russian prince and, after the end of the second world war, it was converted into a hotel by the Signorini family . 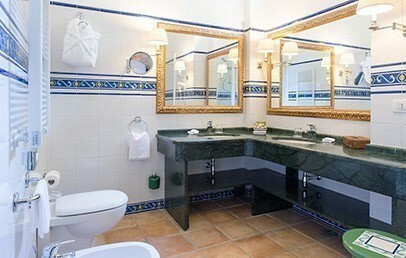 They have been running the hotel for three generations now. 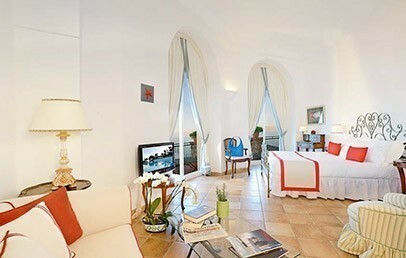 The hotel has been fully renovated by Paolo Signorini, its current owner, who succeeded in the attempt to leave unchanged the architectural features which date back to the Roman period. 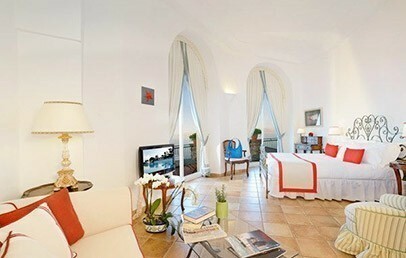 The Hotel Caesar Augustust has 55 luxury rooms and suites. 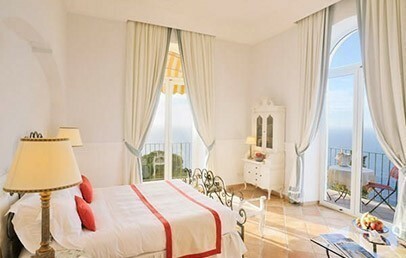 There is a balcony or a terrace in each room, with sea view or with garden view. 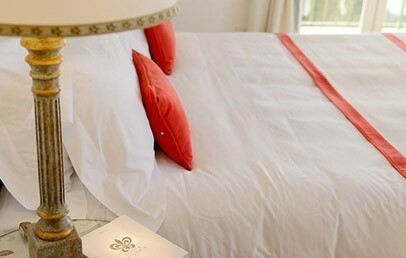 Air-conditioning, Wi-Fi high speed internet access, telephone, plasma satellite TV with sky movies, mini fridge, safe, hairdryer and bathroom with marble surfaces, bath or shower are to be found in each room. La Terrazza Restaurant, poolside, is proud to welcome its guests in a refined and elegant atmosphere, offering them a unique view. 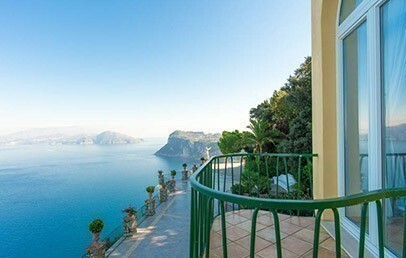 The chef’s skill proposes the best traditional Capri and Naples dishes, starting with a careful selection of products, some of them of own production, which will delight the most demanding palates. 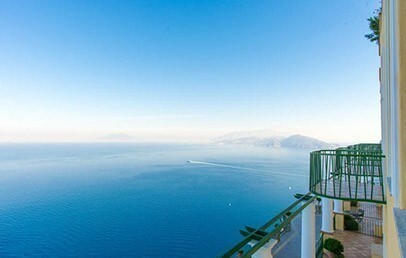 The Terrace Lounge Bar is the perfect place to sip a drink and enjoy the natural wonders of this enchanting place, thanks to the superb terrace overlooking the Bay of Naples. 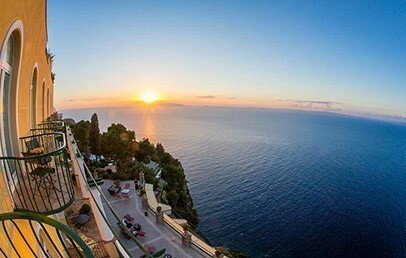 The panoramic pool of Caesar Augustus Hotel, unique of its kind, is available to the guests and offers a spectacular view on the beautiful natural setting, to enjoy in silence and tranquillity. A few steps away, tennis lovers can play and have private lessons. For reading lovers, the well-stocked library is available to the guests, who can relax in the comfortable living rooms sofas, with the warmth of the fireplace on cold winter evenings.